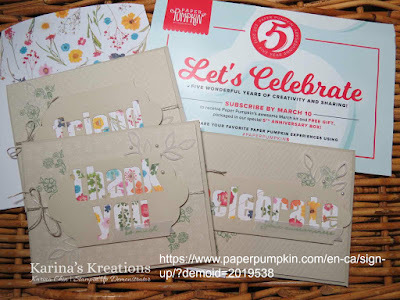 Tomorrow is the last day to sign up for the March Paper Pumpkin Kit and get the Free gift that comes with it. Sign up for three months and receive a sale-a-bration item too. This was last month's kit! Every kit comes with an exclusive stamp set to use over and over! 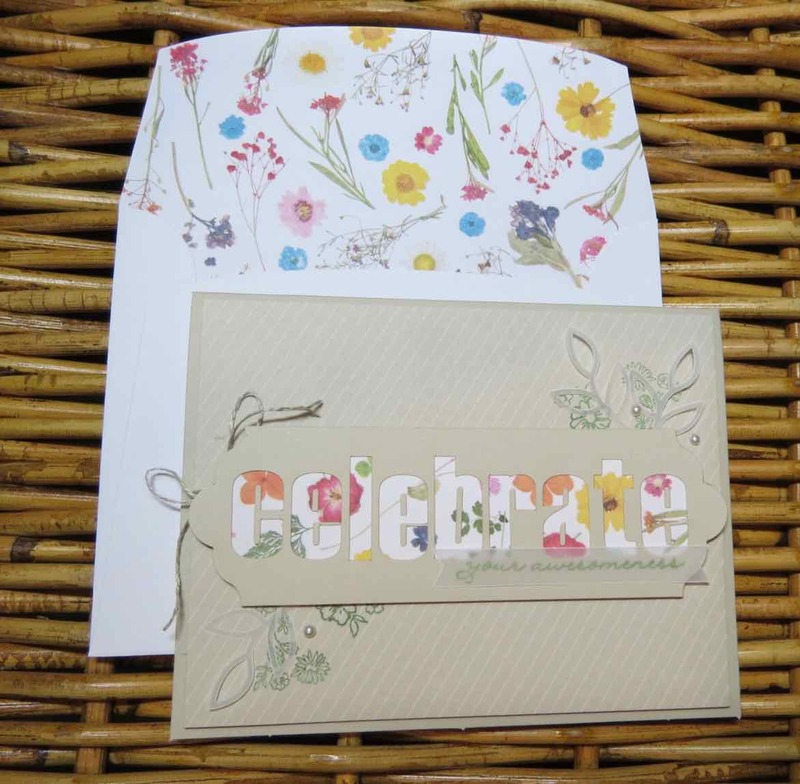 We also send at least one Classic Stampin’ Spot with every kit. The colors don’t repeat in a 12-month period, so it’s easy to build a collection of colorful ink. Every new subscriber receives a clear block (size D) with their first kit to help them get started and to use throughout their subscription. It’s an incredible value! In addition to a stamp set an ink spot(s), the kits are packed with supplies many to make awesome projects like cards, home décor, gift packaging, and more. For example, our card kits (6+ per year) always include 8 cards—at least! Since all the prep work is done, the projects take a shorter time to complete, making it the perfect on-the-go craft. Headed out of town? Grab a kit to create during some downtime. It’s all contained in one little box, so it’s easy to take anywhere! It’s a surprise in your mailbox every month. Because who doesn’t love happy mail? Every month, we share a video to quickly demonstrate how to assemble each kit so that you can pass it along to your subscribers. Just go to PumpkinHowTo.com to link over to our YouTube channel. You can create the project as we intended, or if you’re feeling the urge to get a little creative, head on over to our Pinterest page. We link to our subscribers’ brilliant projects every month. Hosts can earn Stampin’ Rewards on prepaid subscriptions, and you’ll earn commissions on the full price even though the shipping costs are calculated into the price. Please use this link to sign up. Sign up here! To get a three month subscription, you need to do a customer order through my online store or email me at kchin2@telus.net and I will help you. The code for three months is #137859.